4. General purpose printed circuit board. Keypad is an array of switches. Matrix keypads are very common input devices in embedded systems. They have simple architecture and are easy to interface. One good thing about them is that they allow you to interface a large number of input keys to a microcontroller with minimum usage of I/O resources. 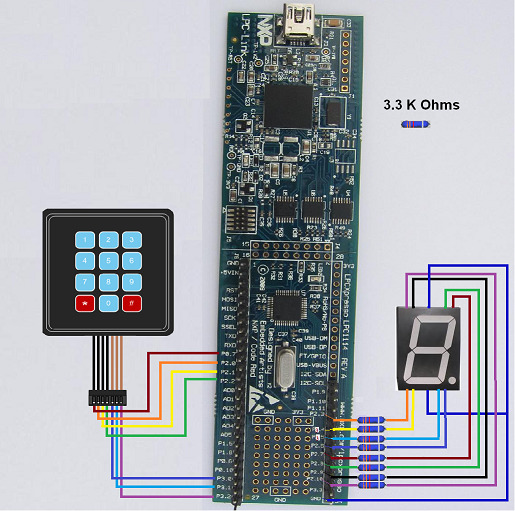 This tutorial type module explains how to read input data from a 3×4 (12 keys) matrix keypad interfaced to a ARM Cotex M0 based LPCXpresso microcontroller embedded board from NXP Semiconductor and display the data on a seven segment display. 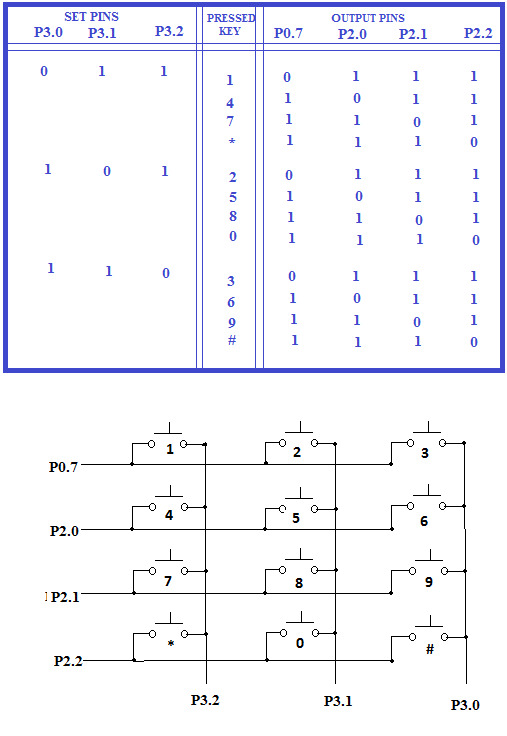 In short this project is to display the pressed key symbol on the seven segment display. Working: There will be 2 wires connected to each switch of the keypad, they get short circuited whenever a button is pressed. For example; when button '1' is pressed, pin P0.7 and pin P3.2 are connected (as shown in the picture below). Normally when no switch is pressed there is no connection between rows and columns. Whenever a button is pressed contact is made between particular row and column. 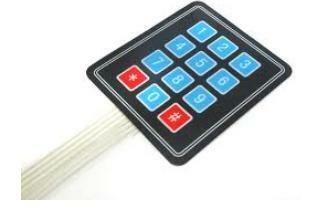 4x3 Keypad pins can be directly connected to microcontroller i/o port of this board. Keypad Interfacing circuit: The below circuit connects 4x3 Membrane Keypad with port 3 and port 2 and port 0 of microcontroller. The 7-seg display is connected to port 2 and port 3 of microcontroller.